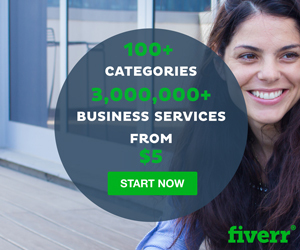 Fiverr® is the world’s largest marketplace for services starting at $5. Fiverr® is a unique marketplace with the one of the highest conversion rates in the industry. The wide range of services, including over 100 sub-categories, gives you the power to work with wide range of audiences. Among the services being sold on Fiverr you will be promoting: Creative services, IT helpers, Video professionals, Writers, Business consulters and much more.